Dr. Maguire traveled the country as the son of an Air Force Pilot, finishing high school in Texas. 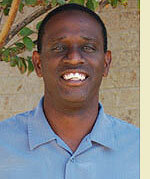 He received his Bachelor of Science Degree in Biomedical Science at Texas A&M University. In 1999 he received his Doctorate of Chiropractic at Parker Chiropractic College and a second Bachelor degree in Anatomy. He is married and has two girls. 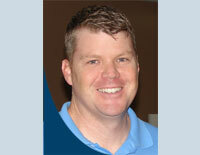 His wife, Celia, is a Chiropractic Radiologist and teaches at Parker Chiropractic College in Dallas. David Alcorn received his Bachelor of Science from Southern Nazarene University and his Master of Science from Texas Woman’s University in 1996 in Exercise Science. He is certified by the American College of Sports Medicine, ACSM.Yyou'll find David on the sidelines cheering his kids in their sports activities every weekend. Dr. Celia Maguire currently serves as Interim Vice President of Parker University, College of Chiropractic. A Parker professor since 2000, Dr. Maguire served as President of Faculty Senate, Associate Professor of Clinical Sciences and Clinic Radiologist, and completed the inaugural Parker Leadership Academy. Dr. Maguire is also a Diplomate of the American Chiropractic Board of Radiology and serves the clinic faculty and interns as an expert in radiology interpretation. Dr. Maguire earned a Bachelor of Science in Biomedical Science from Texas A&M University and a Doctor of Chiropractic degree from Parker University. She is a member of the Texas Chiropractic Association (TCA) and American Chiropractic Association. 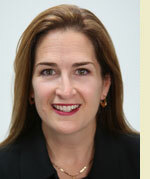 She also represents radiology on the TCA Scientific Affairs Subcommittee. 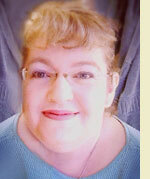 Michelle has been a member of Dr. Maguire’s team for 7+ years and is responsible for the accounting office. She has a degree in general studies and says the best part of her job is getting to know patients on a personal level. She has been married for over 23 years and has 2 very active children. You can find Michelle cheering on the Sachse Mustangs football team or at her daughter’s volleyball games. Grant grew up in Wylie, Texas. 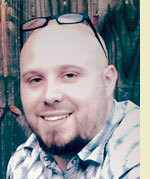 He attended Wylie High School, and graduated in the class of 2005. Since 2007, Grant has assisted patients through their recovery with the help of NorthEast Rehab's Aquatic therapy.